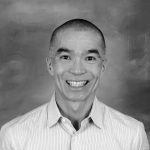 Since 1990, Nishi has partnered with Carey Pinkowski as General Manager and Executive Race Director of the Bank of America Chicago Marathon, respectively. With his extensive operational knowledge, Nishi was integral in guiding a local road race of 6,000 runners to a world-class event that saw over 44,500 marathon finishers in 2018. In addition to his work on the Chicago Marathon, Nishi is a driving force in increasing the exchange of ideas and best practices among events of all size and scope. Recognizing the unique issues of the endurance sports industry, Nishi founded the Race Management Program ten years ago to offer event organizers an intimate forum to share ideas with one another. As an active leader in the running industry, he continues to advocate for greater safety and security not only for Chicago Event Management clients but also for events around the world. He also realizes the impact endurance events has on the community. Chicago Event Management’s increased focus on sustainability allows us to provide training, education and real-life application, our events provide individuals with skills that can be used to sustain and enhance their own communities.